Digitization offers companies a new solution for handling and taking charge of the processes linked to invoicing, payment and even the management of correspondence that normally require a lot of time. The advantages of digitization are many, but it is also very important to provide yourself with appropriate software in order to make the best use of it and enjoy all the benefits. Focus on digitization, its principle, its advantages and everything that must be taken into account before getting started. Concretely digitization allows you to shed a burden and relieve yourself of paperwork within the company. It concerns both archives and the documents being generated and created daily within a company: correspondence, payment files, invoices, etc. Saving money: with digitization, organizations enjoy concrete and substantial savings, because they no longer have to make extensive use of ink and paper, etc. All the costs linked to printing, processing and sending out mail decline sharply or even disappear. Productivity of the employees: employees who previously were in charge of managing, creating and producing paper documents can be redirected to activities that provide genuine added value for the company and further its core business. Saving time: digitization simplifies and also considerably reduces the time allocated to processing data and re-entering data. In several seconds, using professional applications or an ERP, employees have access to information and/or archived documents, and can make annotations as needed. Monitoring documents all the information on strategic and central documents are centralized, and the status of processing the documents is also monitored, with improved traceability and reduced level of errors which occur often and are widespread when a company has recourse to paper documents. Modern image of the company: with digital phenomena affecting all sectors of activity, digitization allows companies to project to their clientele an image of a modern and efficient enterprise which is capable of adapting to the latest technologies. Environment: elimination of paper reinforces the societal and environmental commitment of the company and fits in well with a logic of promoting sustainable development at the appropriate level. Nevertheless, in order to implement a strategy of digitization, many key elements must be taken into account. Indeed, digitization affects the entire ecosystem of the company: its suppliers, its clients and its service providers. It is necessary to formalize and harmonize these changes with each of the partners to extract benefits, because digitization does not just mean sending out a pdf file. For digitization of an invoice, for example, you must have an agreement on exchange of data with suppliers and clients in order to be able to send and automatically process the files sent. The format of each document must therefore be determined with each of the stakeholders in order to guarantee the results that are expected. More concretely, digitization allows you to manage invoicing in a more relevant way. More than digitization, archiving or storage of invoices, it will let you put in place an invoicing strategy for issuing, sending on line and processing automatically your invoices to clients. Generate invoices in pdf or XML format. The 3-stage process ensures simplified but optimized management, with considerable savings of time. 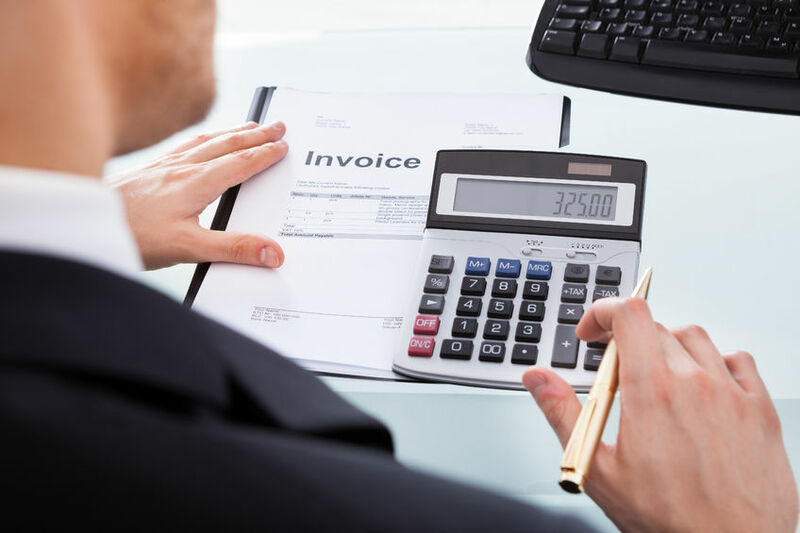 In addition, the issuer of the invoice also has the possibility to send attachments to the invoice such as purchase orders, delivery notes, lists of services, certificates, and so on. Synchro Financials allows you to monitor the status of the invoice using a dedicated ergonomic interface for viewing the history of invoices issued, downloads and those files still awaiting downloading. This portal offers an overview of all the transactions. Indeed, contrary to a classic ERP, which takes over just the dispatch of the invoice and attachments, Synchro Financials allows you to track the invoice in order to be certain that the addressee has definitely viewed it. Other advantages of this module: archiving documents for 10 years in order to satisfy the regulatory requirements and dispatch in addition an XML file containing the invoice data for automatic processing of the invoice in the accounting department of the addressee.